Vice President Faisal Naseem has stated that in a world where all kinds of motions exist, we as Maldivians should try to be united. He made this remark while speaking at the ceremony held at Dharubaaruge, this evening to commemorate this year’s Martyrs Day. 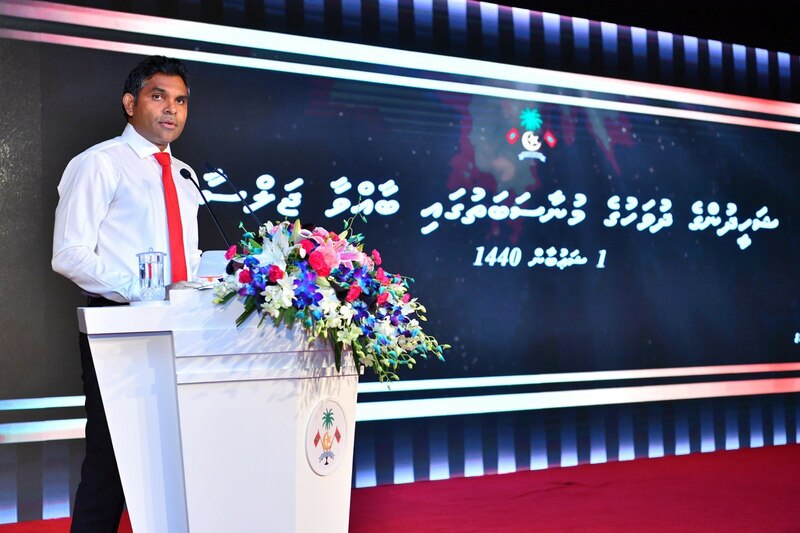 During the event, the Vice President emphasized that the best gift our ancestors passed on to us was the sovereignty of our nation and further stated that all Maldivians would want to prolong the Islamic faith within our nation. Speaking at the event, the Vice President also stated that the lesson we should learn from marking such a day would be to gain the knowledge that most of such incidents that have occurred in the history of Maldives were because some of our own people betrayed the country and called upon the people to be aware of such things. During the ceremony, the Vice President also recalled those individuals who got martyred in the protection of the nation.